Aluminium Composite Suppliers with the BEST cut to shape and size service. If you want a supplier of Aluminium Composite sheets, panels, signs, blanks, shapes or sign trays then this is the site for you. Aluminium Composite is a superb material with a HUGE range of industrial and commercial applications which we supply the way you want it. As specialist aluminium composite suppliers our key benefit is to offer you an enhanced service- where you can easily source raw material & finished parts, components and cut to size shapes all at proper internet prices. A mainstay of the Sign and Display industry aluminium composite can also be used in many other industries for all kinds of application. 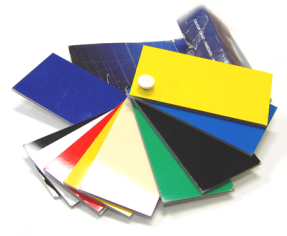 Aluminium composite sheet is manufactured in many different colours and effects. 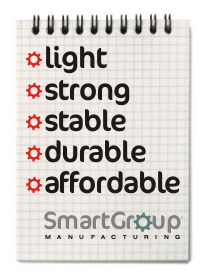 These allow you to use a convenient, lightweight panel system which is pre finished as standard. 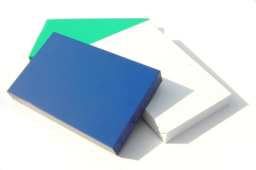 This range of pre coloured, pre finished aluminium composite sheet allows you to eliminate the cost and hassle of wet spraying and powder coating. We simply machine your parts and you install them, that's all there is to it. Aluminium composite panels are lightweight and very durable,. With dimensional stability built in aluminium composite panels are the ideal solution to many commercial applications such as wall cladding and exterior architectural elements. The composite structure combines the light weights and colouration normally associated with plastic sheet combined with the strength and rigidity of aluminium. As aluminium composite is very stable dimensionally you can make long structures and tolerance critical parts using it- unlike acrylics and PVC's composite doesn't expand and contract in concert with ambient temperatures. If you need to make on the fly modifications to your aluminium composite panels or components you don't need specialist metalworking tools- standard jack saws, hand routers and smoothing planes can all be used to trim and "tweak" on site. Our Aluminium Composite buyers love our complete cutting service. Unlike other suppliers we DO NOT use saws to cut your parts- all our aluminium composite is precision cut using CNC technology. Because we use CNC machinery we can give you precise cutting to ANY shape or size. 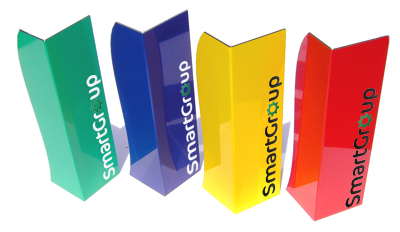 You don't have to buy squares, rectangles or strips of material- you name the shape and we can cut it for you- no problem. 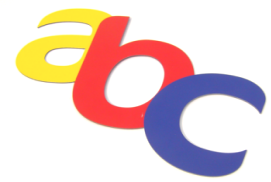 You can simply email us the shapes you need and we will deliver to your door- it is that simple and that easy. 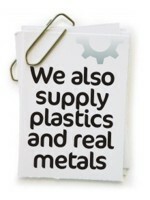 Other suppliers of aluminium composites do not offer you this service- with us it's built in. It makes no sense to buy aluminium composite sheet from one supplier and use another supplier to cut it to shape- this approach is inefficient and more expensive. If you want aluminium composite sheet processed into components and structures we give you a service which really is as simple as ABC. Most suppliers of aluminium composite do just that- supply it. What they don't do is machine, fold, and bond this material. If your aluminium composite suppliers don't "get their hands dirty" by actually using this material in practical applications we don't think they can give you the kind of expert service you are looking for. Use us as your aluminium composite suppliers and you get direct access to the best range of machining and fabrication services on the net. Aluminium Composite is a generic material manufactured by many different companies. Each manufacturer offers slightly different colour choices and each brand of material has slightly different machining characteristics. We sell six different brands of aluminium composite from budget ranges through to Premium ranges. Samples are available; just ask. Want to reduce costs and simplify your aluminium composite buying processes? Contact us to make easy affordability a reality.